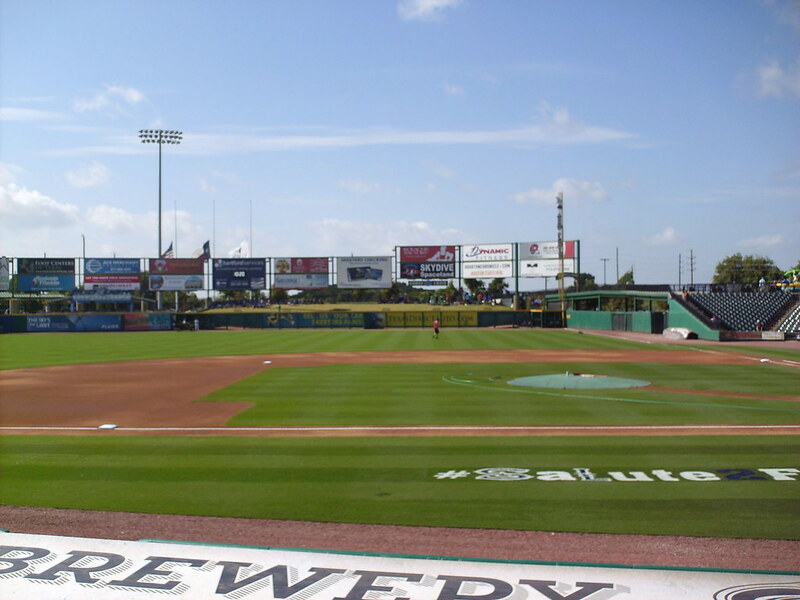 The view from behind home plate at Constellation Field. 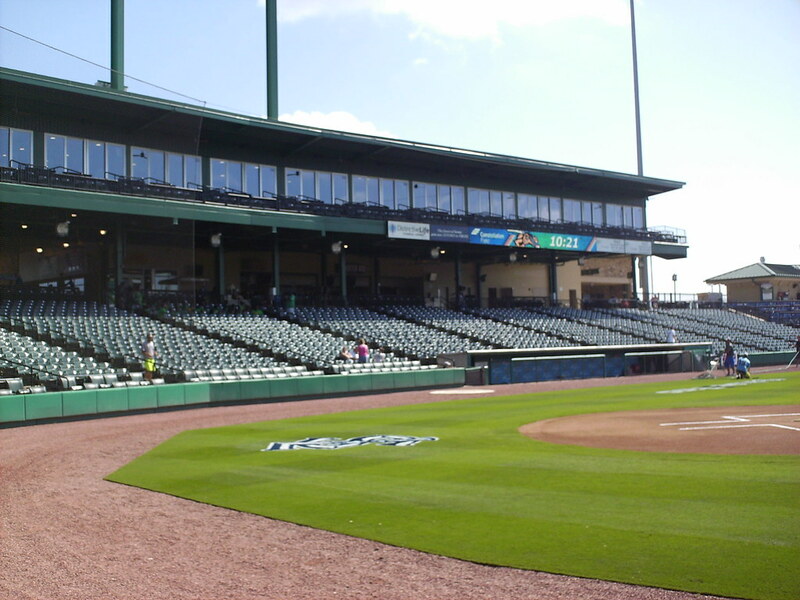 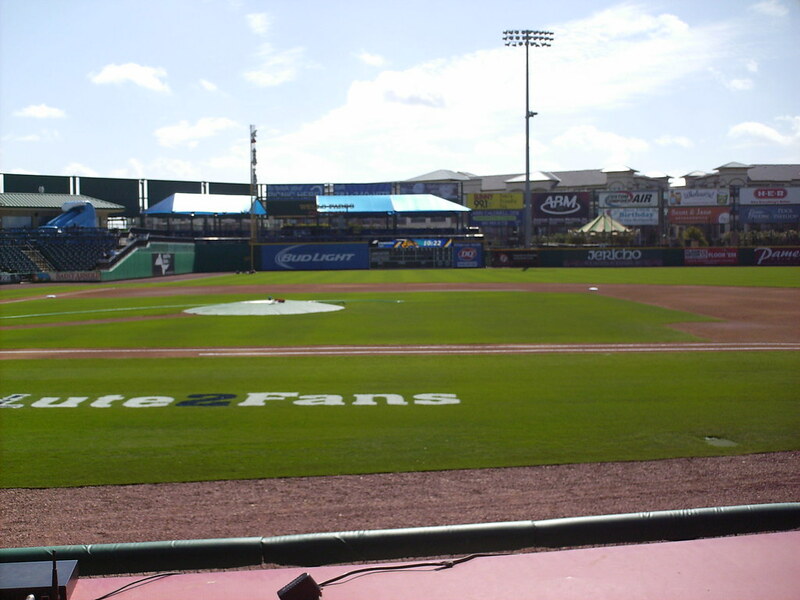 The grandstand at Constellation Field, as seen from center field. 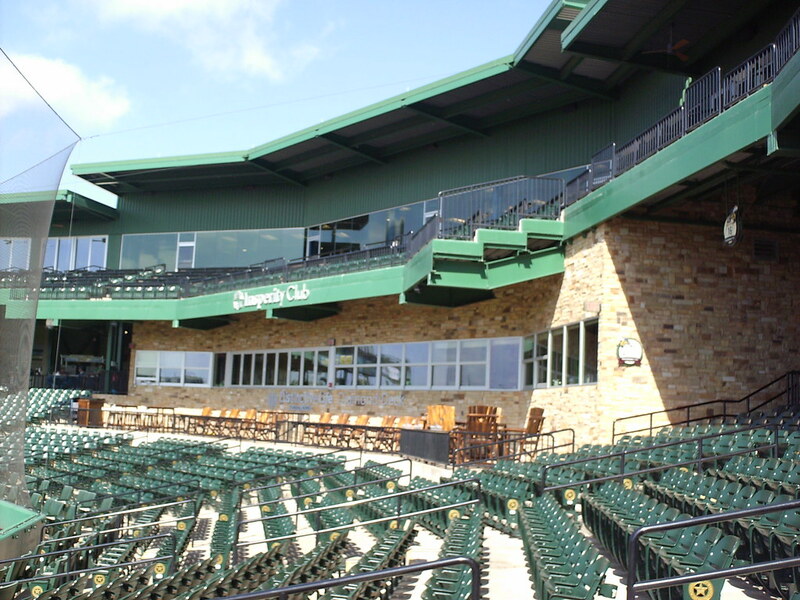 The pressbox and club seating behind home plate. 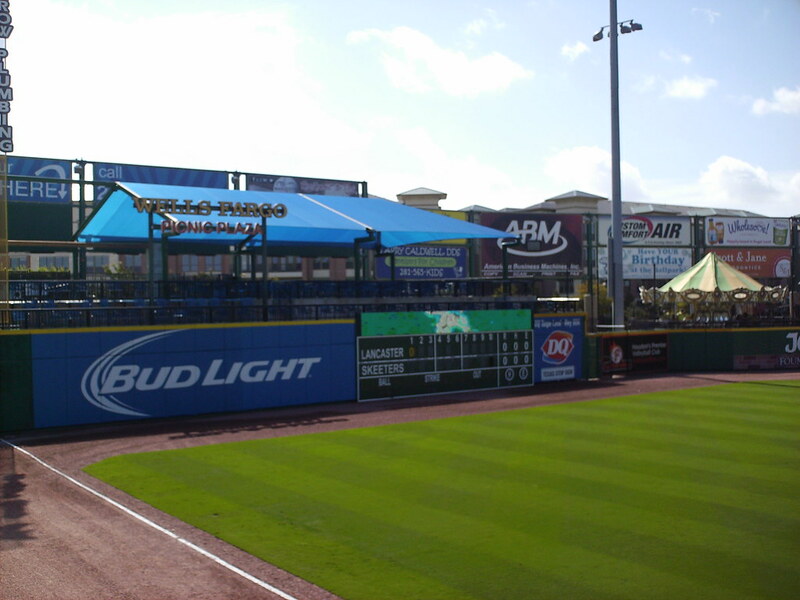 Luxury boxes extend all the way down the first and third base lines, with ribbon boards on the upper deck facade. 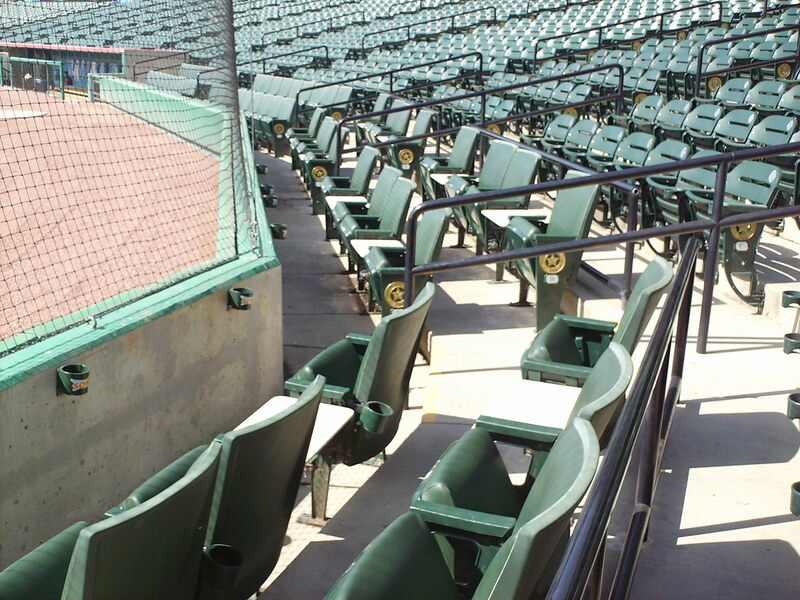 Box seats in the first few rows of the seating bowl feature padded seats and side tables for concessions. 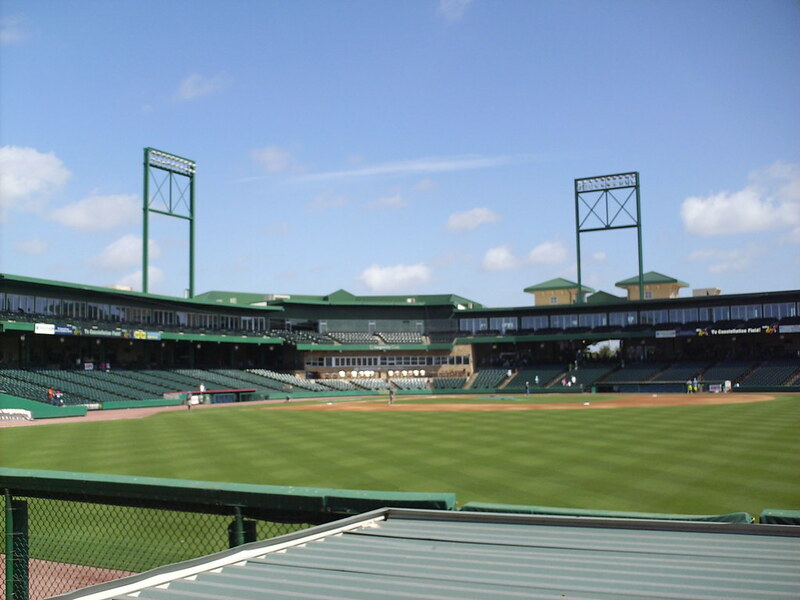 The seating bowl wraps back around to face home plate in the corners, running right up against the outfield foul territory. 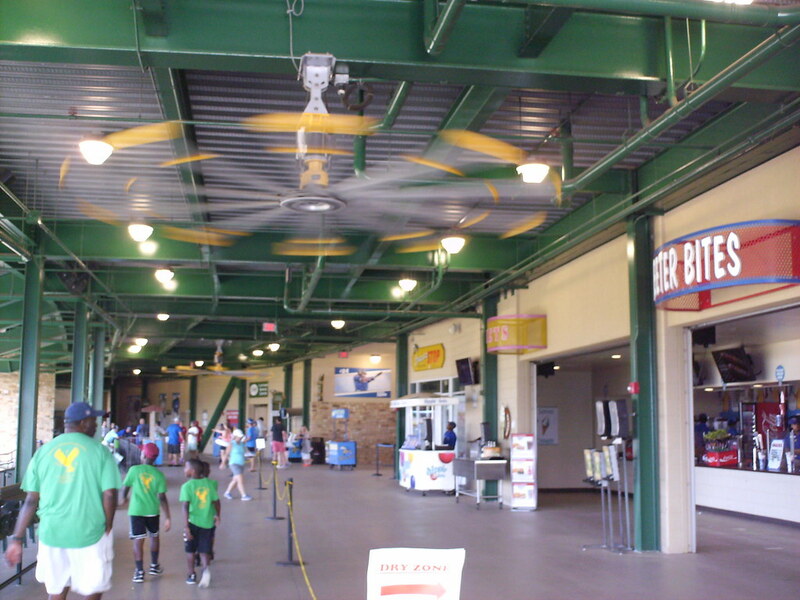 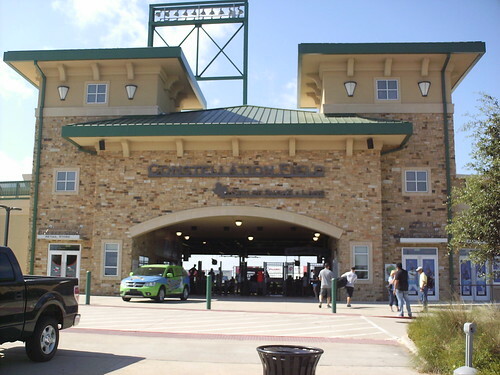 The concourse at Constellation Field features fans to cool down the Texas heat, and concession stands like "Skeeter Bites". 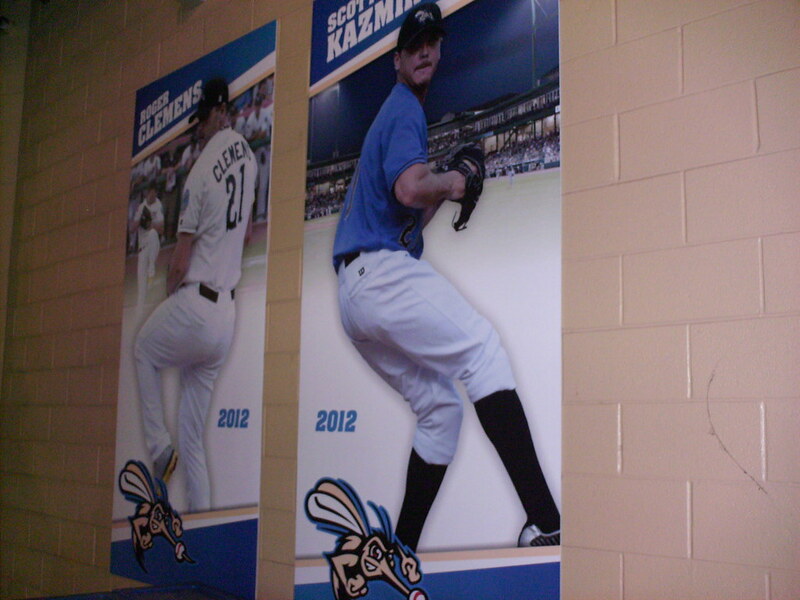 Banners along the concourse celebrate former major leaguers who have played for the Skeeters. 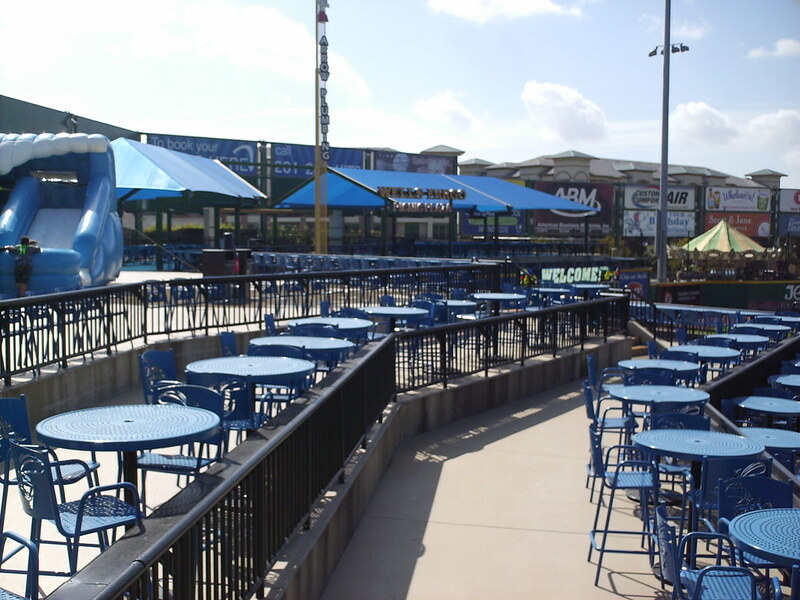 A large picnic deck wraps around the foul pole in the left field corner of the park. 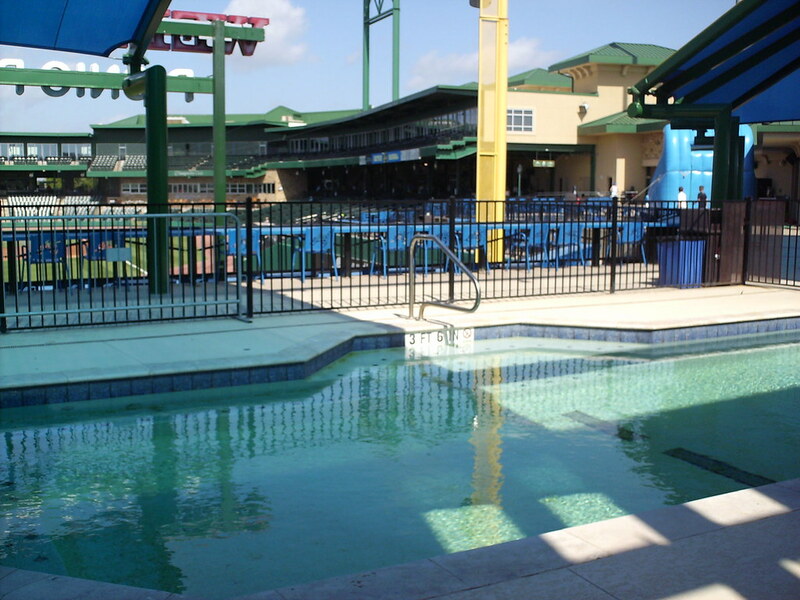 The left field party deck features a swimming pool overlooking the field of play. 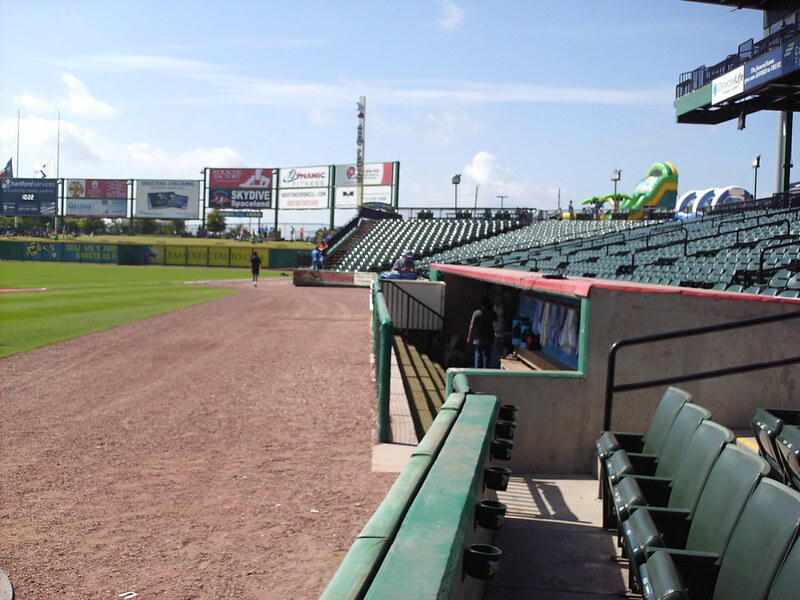 Constellation Field features a large children's play area that takes up most of the left and center field concourses. 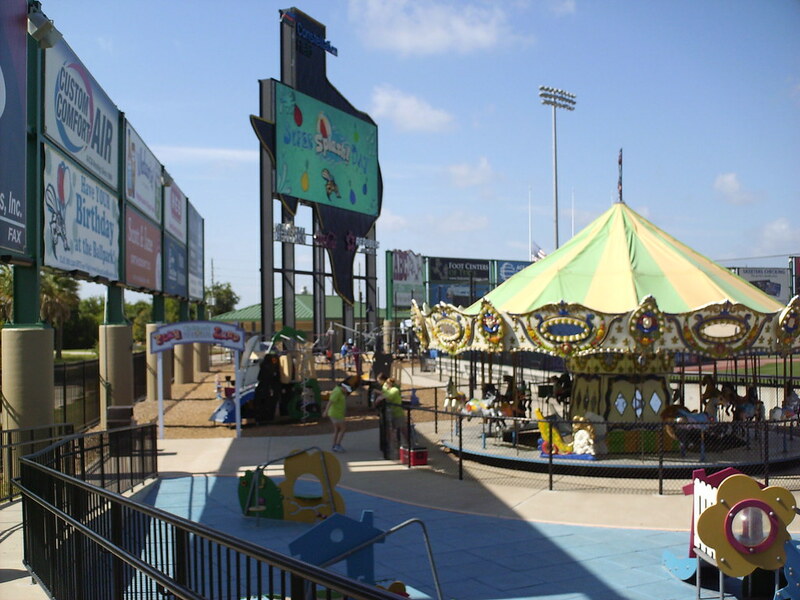 The carousel in the outfield playground pushes out into the field of play, creating a bump in the left field wall. 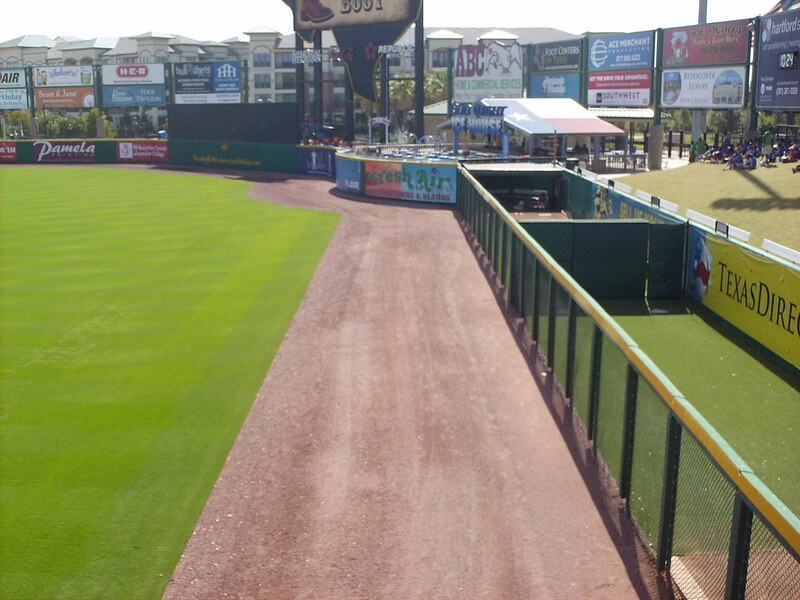 A bar area in right center field also pushes out into the warning track, causing a rounded section of fence in that area as well. 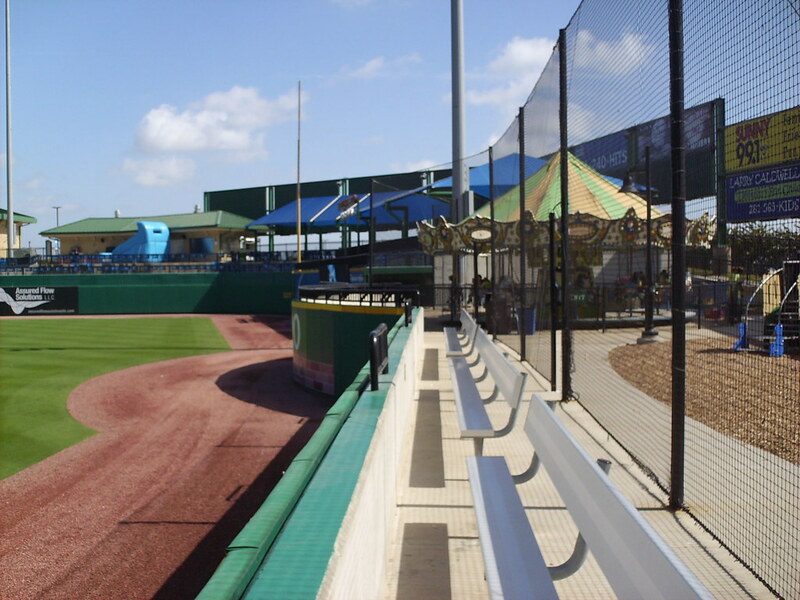 Berm seating and both teams bullpens sit behind the right field fence. 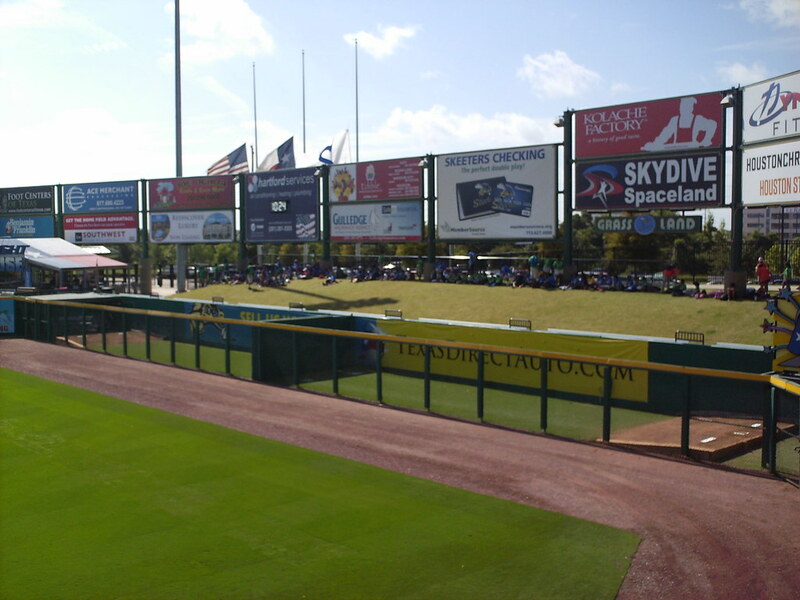 The outfield fence is taller in the closer left field corner, and the wall features a manual line score board. 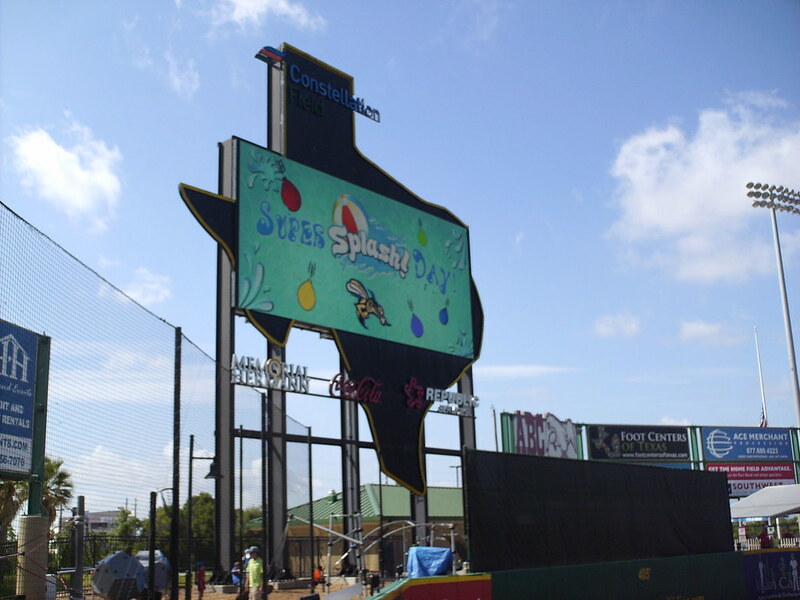 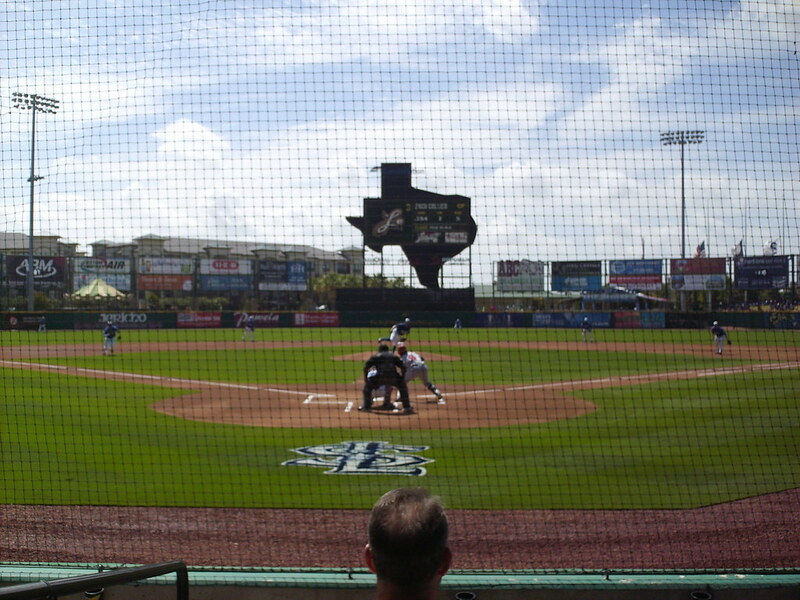 A giant Texas shaped scoreboard towers over the batter's eye in center field and is the signature feature of Constellation Field. 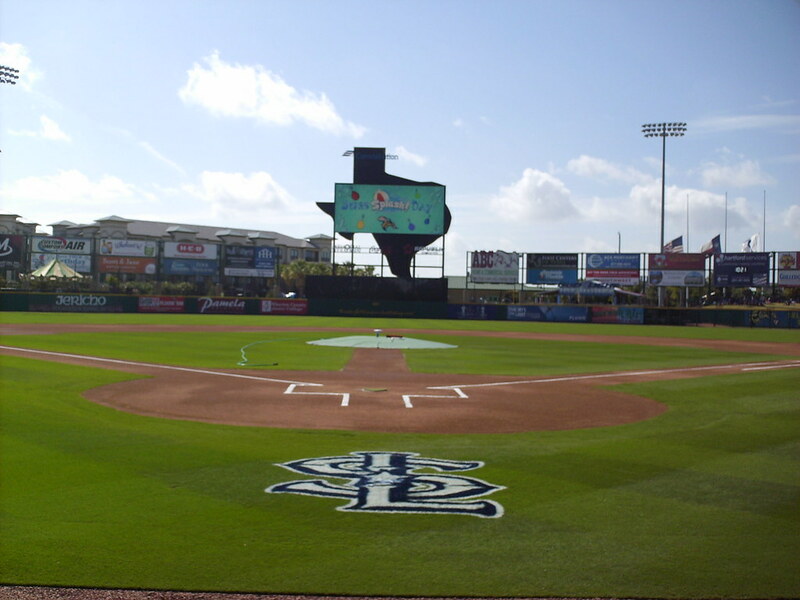 The Sugar Land Skeeters on the field during a game at Constellation Field.